Show your passion for our mission. Sponsor a Youth Symphony concert. Align your company’s branding with the Youth Symphony’s mission and broaden our combined community impact. Sponsorship levels begin at just $1,500! Multiple-year and joint sponsorship options are available. 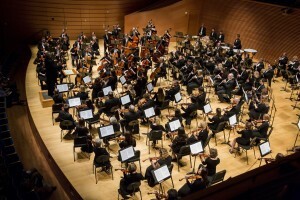 Contact Advancement Associate Bri Hopkins at 816-897-0577 x107 or bhopkins@youthsymphonykc.org today!